Imagine a hub that you can plug into, to rejuvenate and reboot. A space with magnificent 180 degree ocean views and the sound of waves crashing on your doorstep. Imagine a safe haven that becomes your sanctuary at the sea. You don’t have to travel far to find this kind of paradise. 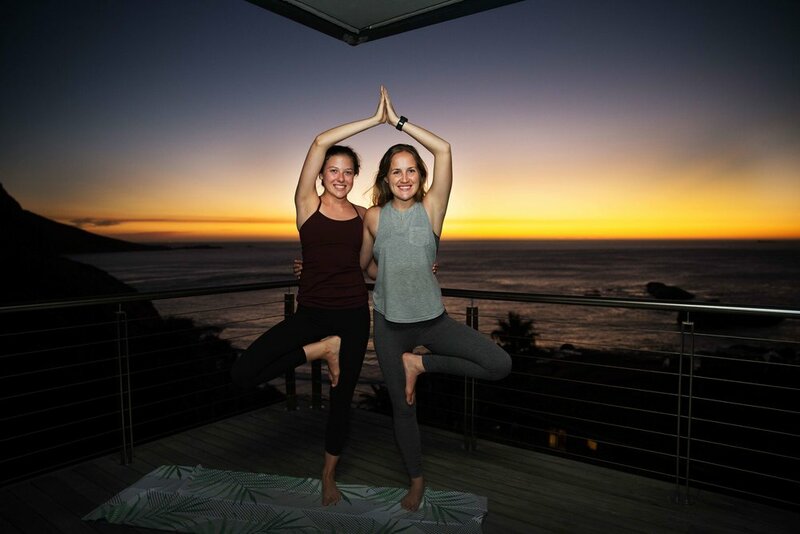 We got in touch with Christi Wasserman, Wellness Consultant and Yoga Instructor at 26 Sunset Villa in Llandudno to hear all about her exciting yoga events and retreats coming up. Christi was irresistibly drawn into the world of wellness when she fell in love with yoga and green juices a few years ago. Stuck in a corporate world of Accounting and Investment, Christi was burned out and searching for happiness in all the wrong places. After making a conscious change to live a happier and healthy life, she began a transformation which was sure to change her life. Her journey continued as she became a qualified yoga instructor, Holistic Health and soon to be Life Coach. Christi is the epitome of taking a leap of faith to find your own happiness. Inspired by her personal story, Christi has found her passion in helping ignite others bliss too through her own wellness initiative, Hello Happiest. Having gone through the whole experience herself, Christi can relate to those who are ready to take the leap but do not know where to start. Saying Hello to your Happiest, does not mean you will always be happy, no one is! Rather that you start to honour the process of lovingly moving through your not so happy stuff when the going gets tough and exploring what keeps moving you forward when the going gets happier. Saying hello to your happiest means knowing that you've got a community, events, retreats and tools to plug into to ignite your bliss and move you towards being a happier human. Christi always knew that she wanted to incorporate her 4 favourite things; people, yoga, food and beautiful spaces. 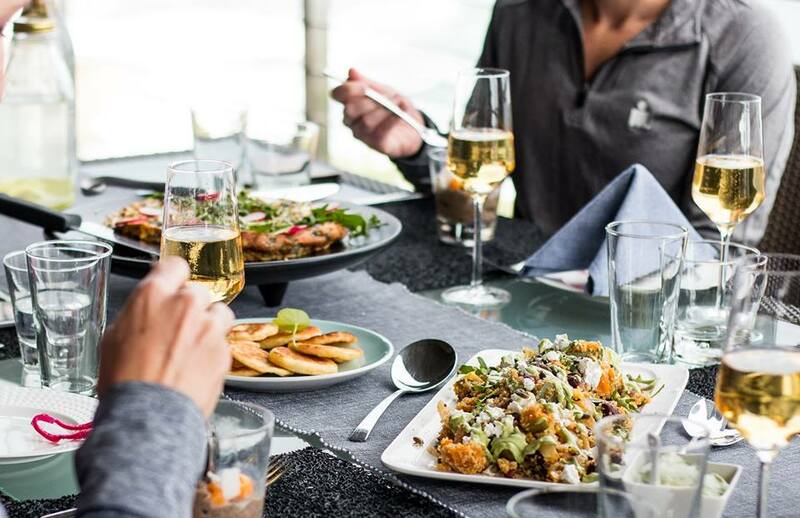 In a spontaneous treat for her friends, Christi hosted a special day which included a yoga class and delicious cuisine at 26 Sunset Villa. 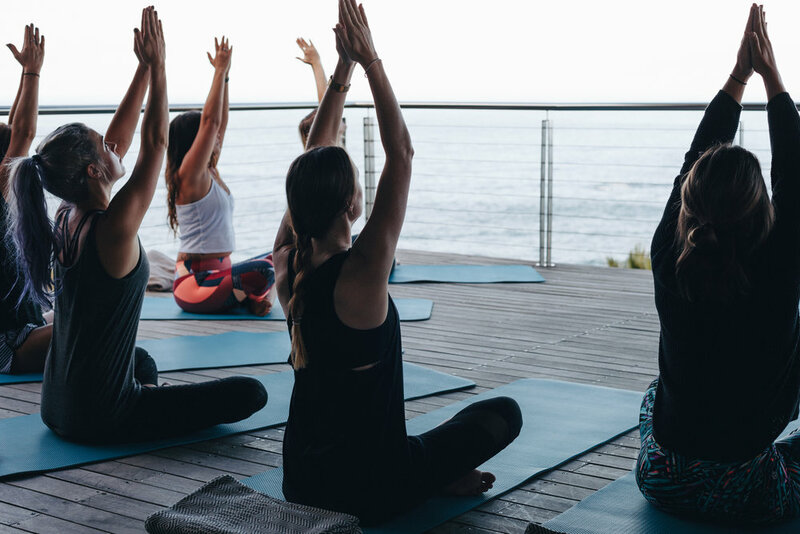 What started off as a routine friendly gathering has since flourished into a variety of Yoga Brunches, Sunset Yoga, Canapes and Champagne as well as day and weekend retreats that are open to anyone who is craving a little pampering. 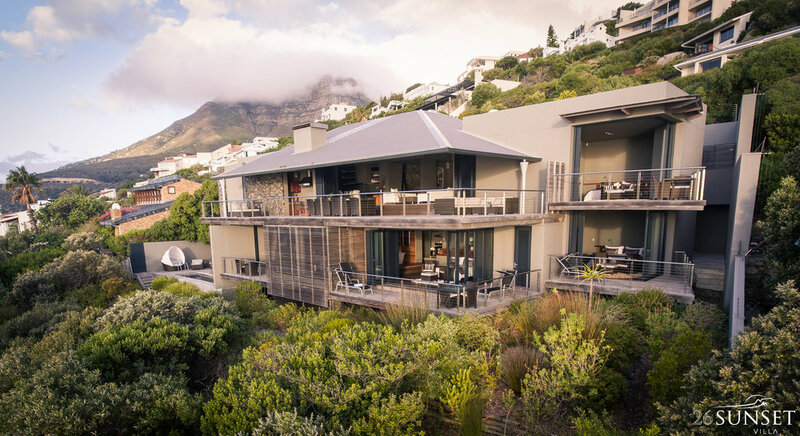 Christi is now the Wellness Coordinator at 26 Sunset Villa, a five star, ultra-luxurious and exclusive property nestled on the slopes of the Atlantic Seaboard in the prestigious suburb of Llandudno. Christi and Sunset Villa have joined forces to create an opulent wellness hub that internationals as well as locals can experience. In making wellness more accessible, Christi invites people who are embarking on this health and wellness journey to join them at this Sanctuary. As a Vinyasa based instructor, Christi's classes are suitable for all levels as she combines playfulness, mindfulness and movement to revitalize and reboot. As a new yogi herself, she loves sharing her tricks and learnings within her classes. Those that attend Christi's yoga classes can expect to tune in to your body and breath, listen to what you need and flow to these needs as she guides you through. “I am still very much on that journey.” Says Christi, highlighting that this lifestyle is dynamic and constantly changing. "There are ups and downs. The important thing is to not be so hard on yourself." “You feel like you are floating on the ocean.” Says Christi, as she states one of her favourite things about hosting retreats and events. Christi goes on to explain that guests can also look forward to delicious cuisine by food artist Stacey-Leigh Hodgson. Stacey has spent years exploring Yoga, Ayurveda as well as Eastern cuisine and philosophies. Her food can be described as organic art, incorporating all elements; earth, water, fire, air and ether, fused together to bring balance and energy to your body. Stacey walks a devoted path in practice and education with the intention to empower individuals to discover their authentic trueness, unlimited potential and purpose. "You don’t have to be a specific someone, just be who you are." says Christi, as she invites everyone to join her at any of her upcoming events or retreats. Christi also offers tailor-made events at Sunset Villa to suit your personal needs. This includes birthdays, bachelorettes, kitchen teas or corporate events.